PAYOT is a luxurious French skincare brand created by Nadia Payot, one of the world’s first female doctors, back in the 1920s. Inspired by prima ballerina Anna Pavlova, Nadia Payot developed facial exercises that preserved the skin’s beauty and youth, a 42-Movement Massage, still performed today. 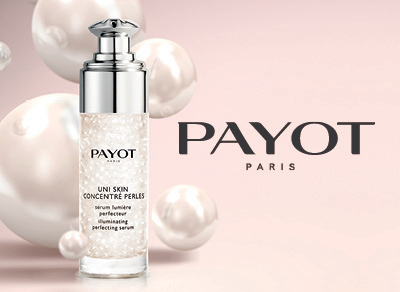 These facial exercises were later joined by a unique beauty line, which marked the beginning of PAYOT products. Dedicated to meeting the daily beauty needs of every woman at every stage of their life, PAYOT combines the latest science advances with luxurious and sensorial textures and fragrances.